Raz- Brilliant! You hit the nail on the head!!! 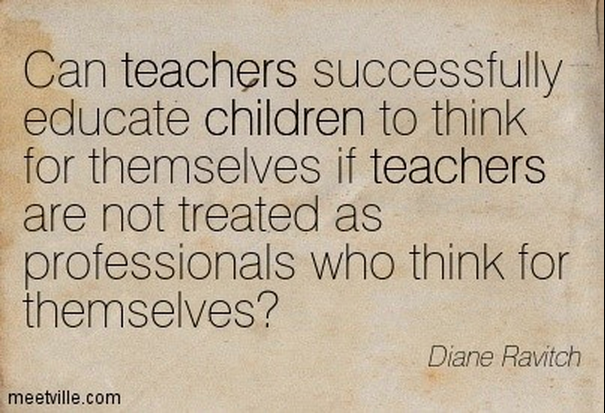 Teachers should have time to teach their students well. Students should be in an environment that is conducive to learning. Neither have this opportunity right now given the test, test, test, data mandate. Instead, teachers have the joy of teaching sucked right out of them and students have the joy of learning sucked out of them. And for what? To profit the testing companies/publishing companies on the backs of teachers, students, and shrinking educational budget. It is for this reason that as a parent, I refuse to have my student subjected to such testing. Not because they are not capable or competent (heaven knows that they are as illustrated by the fact that they are attending both HS and college at the age of 15), but because it benefits them nothing and costs them, their peers, and their teachers everything! 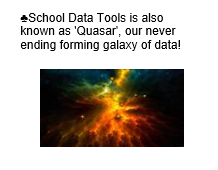 Having studied statistics, test construct, and learning theory at the doctorate level, I can tell you first hand that the SBAC is a poorly constructed test that does not measure what it proports to be measuring. The fact that high-stakes are attached to it is beyond absurd! Truth certainly is stranger than fiction. Raz, keep speaking up and bringing light to the darkness. For it is by speaking up and helping to educate others that change can and will take place. Knowledge IS power! As parents and students are becoming better informed about the truth, they are standing up and saying “NO more” to their district administrators and school boards. Raz… a link to your blog was included in the electronic feedback form for a workshop I co-facilitated for my teachers on Friday…the topic was also TPEP. My opinion is that TPEP isn’t inherently bad or wrong, but that so, so many places are implementing it poorly (for whatever reason: lack of time, lack of resources, initiative fatigue, fear). What you describe sounds like such a tremendous missed opportunity. What if, instead of bolting you to your chairs and demanding compliance, your district trusted your 2400 colleagues with time to work within the framework make the connections between what they already do and what the framework talks about? You’re right about the costs…those seven hours may have done more to damage teachers and teaching than just about any other conceivable use of that time. Can you leave your email or private message me through Facebook? I would like to have a courageous conversation regarding TPEP. I appreciate you joining the discussion. I hope my whole post was read. The reason being is TPEP is not the only issue I address. We are becoming so test and evaluation driven it is sucking the time out of classroom instructional time to do what is right for children. I am going to write my thoughts in another blog post so I do not have to rewrite it several times in discussion threads. Here is my first question and response: Put 5 principals in a room observing a teacher. Will the TPEP evaluation be exactly the same? The scores exactly the same? Is there inter-rater reliability? Take a high school PE teacher who decides to become a principal. Their first job is as an elementary principal. I’m a mathematics expert. Do you really think they have the lens to judge my mathematics teaching? 1st year principals verse 20 year principals? Way Way Way too many variables. Furthermore, it is a time zapper. It is a time zapper on the part of the teacher as well as on the part of the principal. Answer my first question about inter-rater reliability… then I can follow up with many more. I do see that there was more to your post than TPEP… I was reading it more from the lens of how teacher-learning through PD like what you described is such a counterproductive way to connect teachers with any kind of learning, and particularly one as complex as teacher evaluation. In one of the comments above, you mention that teachers need strong PD… that’s my angle, and what my role is in my district this year: design and deliver higher quality PD and cut through as much of the BS as possible. I do want to state from the outset that I realize there are a lot of stated and implied “ifs” in my responses. As you point out, there are many, many variables… just like in our classrooms. I’m not here to try to convince you that TPEP is The Answer or “okay” or even “only a little evil.” I do want to share the truths I know, though, in hopes that you can consider that the reality being manifested in Spokane is not necessarily the same everywhere. I’ll tackle the inter-rater reliability question first. Some districts are approaching inter-rater reliability from the angle of “5 principals see the same lesson and they give it the same rating.” The first problem with a district taking that position is that no where in the framework is there an evaluation rubric for a specific lesson–rather, the framework is intended to describe a holistic view of teaching…180 days, not 1. If a specific lesson is being given a rating (U, B, P or D), it is a gross misapplication of the evaluation tool. The purpose of classroom observation is to gather potential evidence in support of a teacher’s practice. Marzano’s “Effective Supervision” clearly advises against offering a rating for a specific lesson…there’s no way a principal could see enough in a single observation to draw a valid conclusion/rating about a teacher. The spirit of your question, though, is absolutely valid: we want teachers to get a fair and reasonable evaluation regardless of the principal, his/her past experience, etc. To achieve uniform and perfect consistency would require reducing the very complex work of teaching to mere checklist of “high leverage practices” or “preferred moves,” which may or may not be what is right for kids in that context. That would be the only way to guarantee complete inter-rater reliability…and that is perhaps the least useful kind of evaluation feedback to give or receive as it is agnostic to the realities of the classroom context. In the training I do for principals about inter-rater reliability, we stress that it is the inquiry and coaching procedure that must be uniform, to ensure that every teacher has equal opportunity to reflect, share, and surface the aspects of their practice that best represent themselves and their profession. If that is what is emphasized, the resulting ratings are much more “reliable” and consistent across multiple principals. You pose the question about whether a PE teacher has the experience and knowledge to judge your teaching of mathematics. Keep in mind that your principal isn’t being charged with being a content expert (or shouldn’t be, at least). In the Marzano framework (which I think is what Spokane uses), the evaluation rubrics for observable “teaching moves” in criteria 1, 2.1-2.7, 5 and 6, are pretty straightforward: to achieve “proficient,” a teacher should be able to describe (ideally through verbal conversation) how he/she monitors for the desired effect. Neither the law nor the framework defines what that monitoring must look like…that is up to the professional discretion of the teacher. Through reflection and learning focused conversations, the teacher shares his/her thinking processes, the hidden expertise that strong teachers possess but isn’t always obvious in an observation. The principal doesn’t have to be an expert in your content, you do, and through your teaching reveal that you are an expert (not through having to “prove yourself” with supporting documentation). The phrase I use all the time with teachers and with principals is the concept of a natural harvest of artifacts and evidence. No teacher should EVER have to assemble a portfolio (paper or uploaded) of pre-emptive cover-your-donkey “evidence.” Waste. Of. Time. No one should be creating anything for the purposes of their evaluation–with the distinct exception of some form of personal self-assessment of teaching based on the framework. So much depends on local decisions and how local contracts and districts are applying the law outlined in RCW/WAC. No where in the law is there ever a mention of a required number of artifacts, evidence, binders or portfolios. Likewise, nowhere in the framework is there a mandated list of how a teacher is supposed to teach. Any communication to you otherwise is a misrepresentation of the truth. Please understand I’m not on here to defend the way your district is handling TPEP… or anything else. 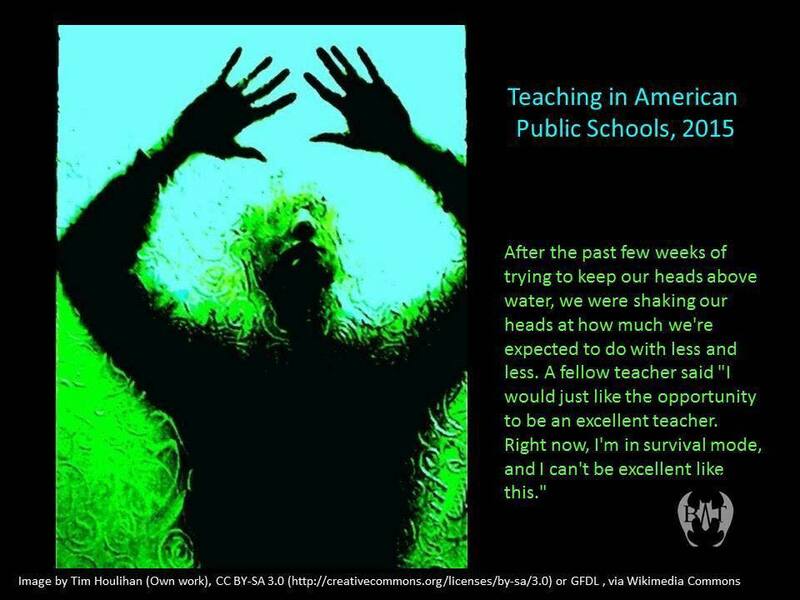 If anything, I hope that my experience both as a classroom teacher evaluated using TPEP and as a trainer on the system can help illuminate that it doesn’t have to be the train wreck it sounds like it is becoming in your district. If implemented properly, this teacher evaluation system does not have to be prescriptive and confining…at all. My worry: if this approach to teacher evaluation isn’t implemented properly, something will replace it, and that something is likely to be far more prescriptive and constraining.